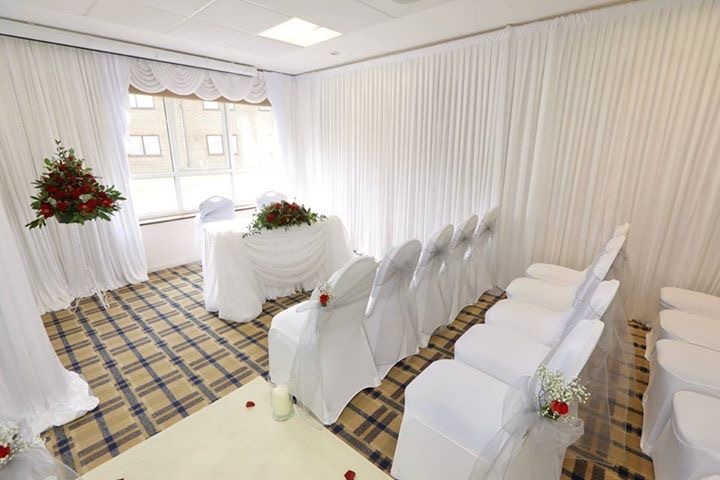 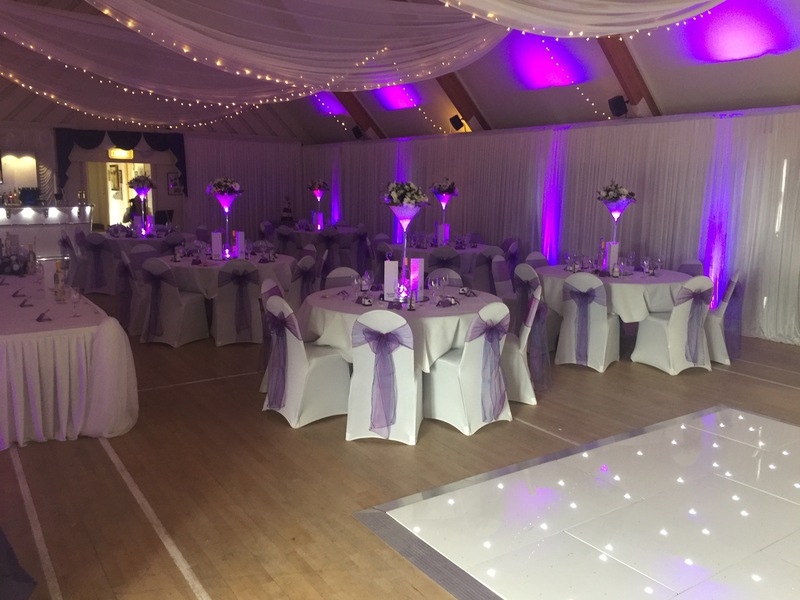 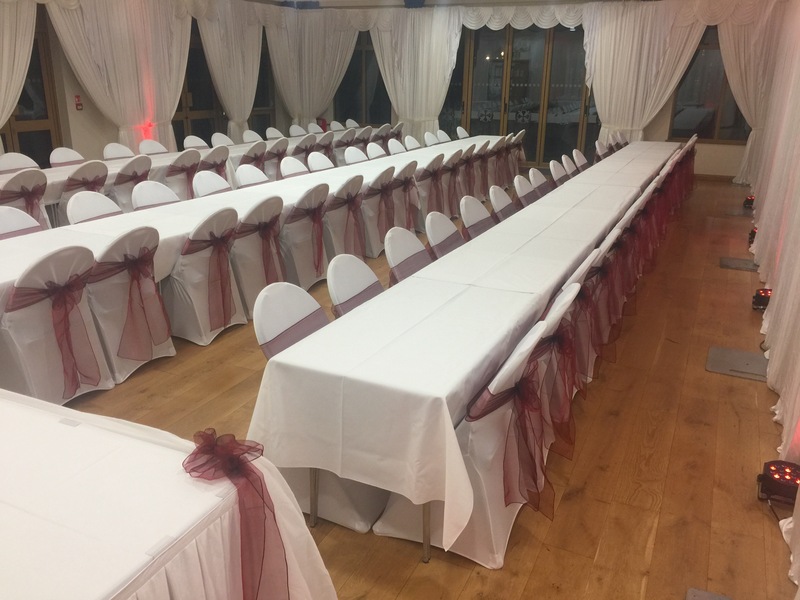 Our wall draping can be used to turn your room into a nice neutral setting, our drapes can go up to 14ft in height which for most venues is more than adequate. 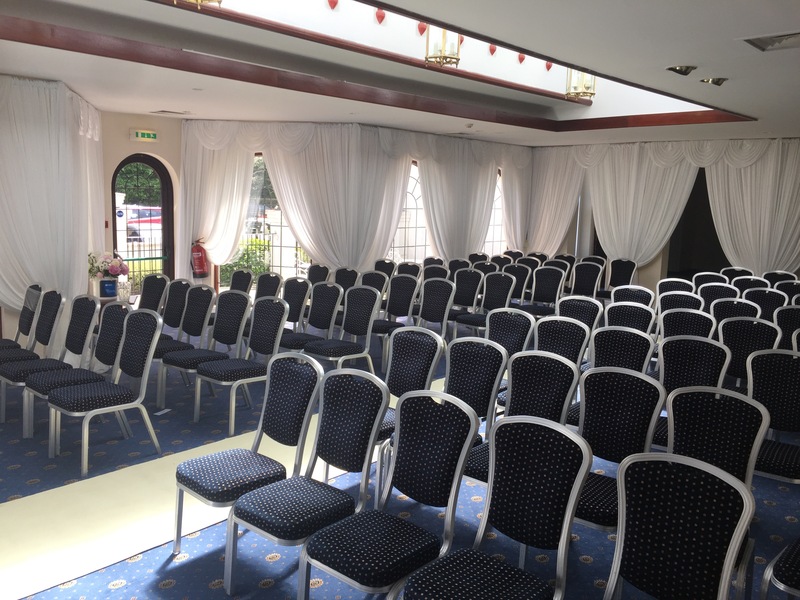 The drapes come in a plain white colour and can be dressed in or without swags in any colour. 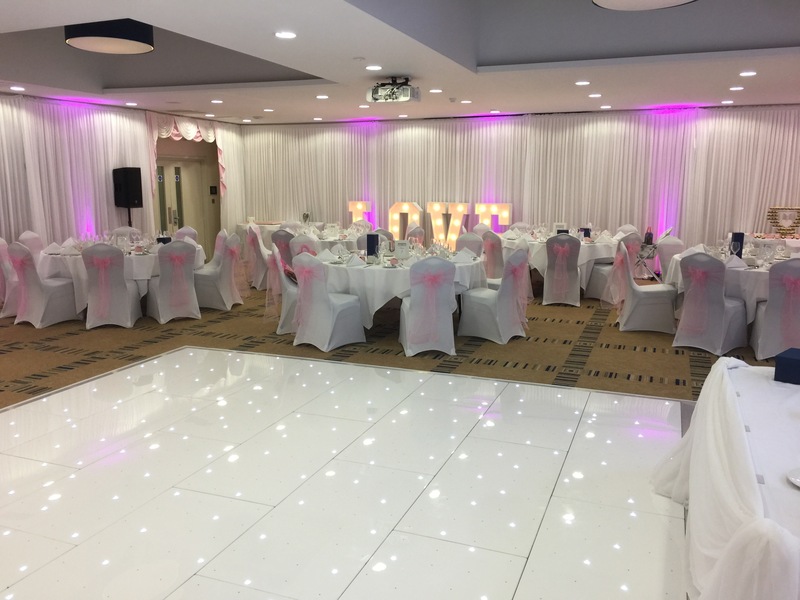 We customise all the Door swag and drops to match your colour scheme for your event.